Rinse the mung beans, place in a bowl and soak overnight in just enough water to cover them. Drain the beans and place in a steamer (can be steamed in any conventional steamer, or may place them in a cheesecloth and steam them using our sticky rice cooking pot and basket). Remove from steamer. Let the beans cool. Combine tapioca starch with rice flour. Slightly pound the mung beans mixed with flour mixture, cumin, coriander seeds, turmeric, salt, pepper powder and lime juice. Knead the mixture until smooth. Using figertips doused in oil, form the mixture into bite-sized balls until all is finished. Fry the balls in hot oil over a moderate heat until crispy golden. Lift out and drain. Serve with Tamarind/Garlic Sauce. 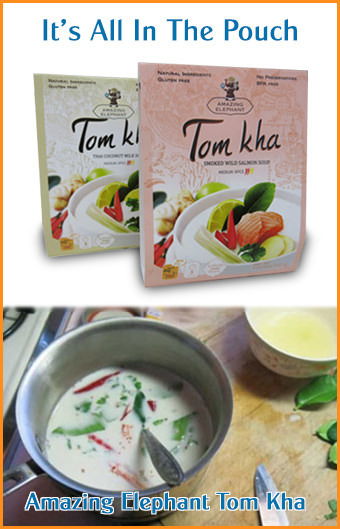 This sauce can be used with other Thai snack foods, or however you'd like. Even try it as a dip for potato chips. It's absolutely delicious! Combine tamarind mixture, salt and sugar, stirring well over medium heat. Bring to a boil and taste, add more salt and/or sugar as you prefer. Simmer until slightly thickened, remove from heat. Add chile, shallots and garlic, stirring well. Serve with whole dried chiles as an accompaniment.